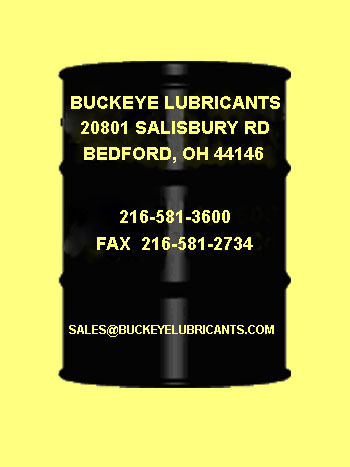 Soluble Oil coolnats from Buckeye Lubricants include 324-24, 324-24NC, MEB, MEB-CL, 776-24NF and 333. Buckeye Lubricants manufactures a number of soluble oil type metalworking coolants and the more popular ones are detailed below with links to data sheets for each one. Buckeye 324-24 is a superior ALL-PURPOSE soluble oil product suitable for almost all machining & grinding applications with virtually all materials. 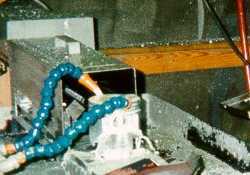 It offers oustanding performance on aluminum. Buckeye 324-24NC offers comparable performance to 324-24 except it contains no chlorine making is suitable for applications where chlorine is not allowed. Buckeye MEB & MEB-CL Micro Emulsion Coolants were designed to offer oustanding performance while minimizing build-up on machines and reducing carry-out on parts. They are suitable for even the most difficult applications as well as high turbulence and high pressure systems. Buckeye 776-24NF is an excellent all-purpose machining and grinding coolant but its exceptionally low-foaming characteristics make it particularly effective on high turbulance applications. Buckeye 333 is an economical general-purpose product that offers excellent performance at a reduced cost.